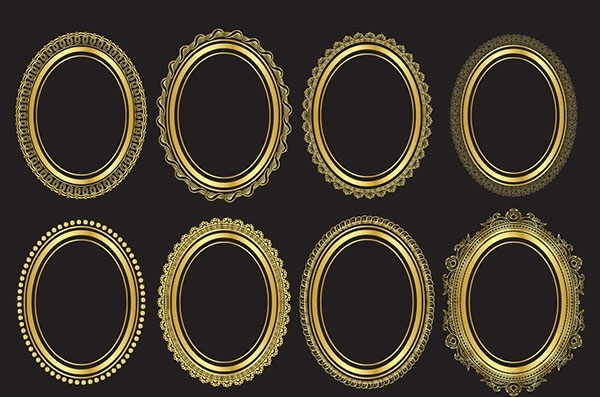 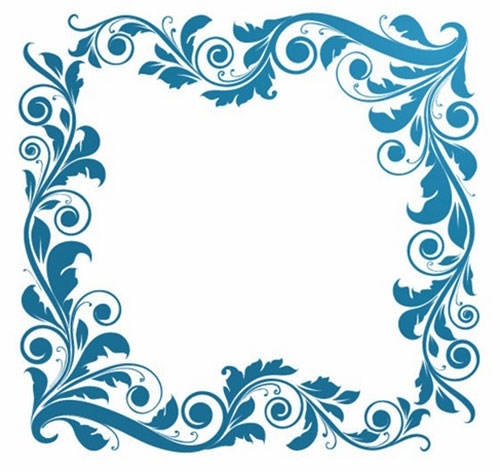 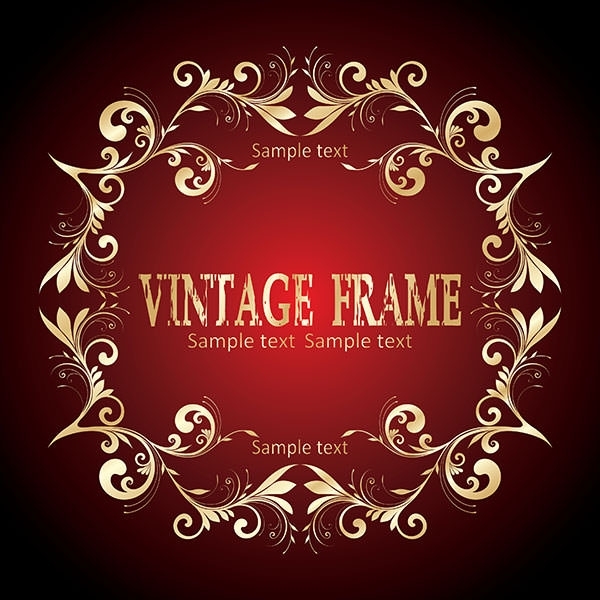 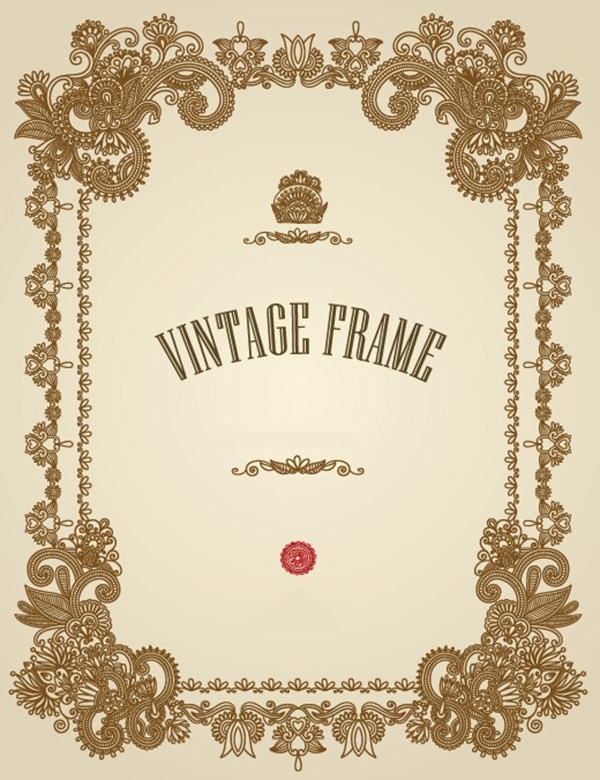 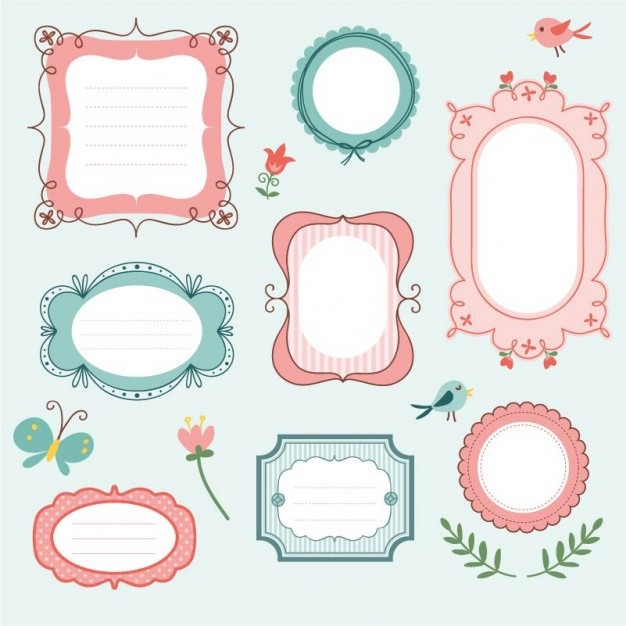 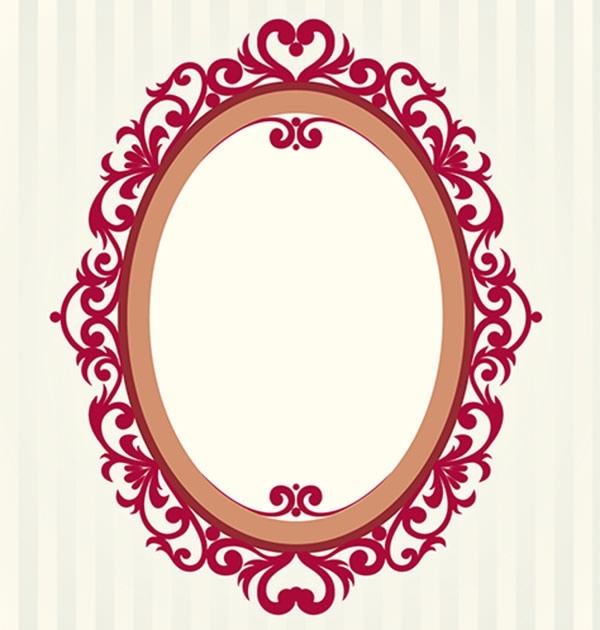 Add a classic and royal touch to your next design with vintage vector frames designs. 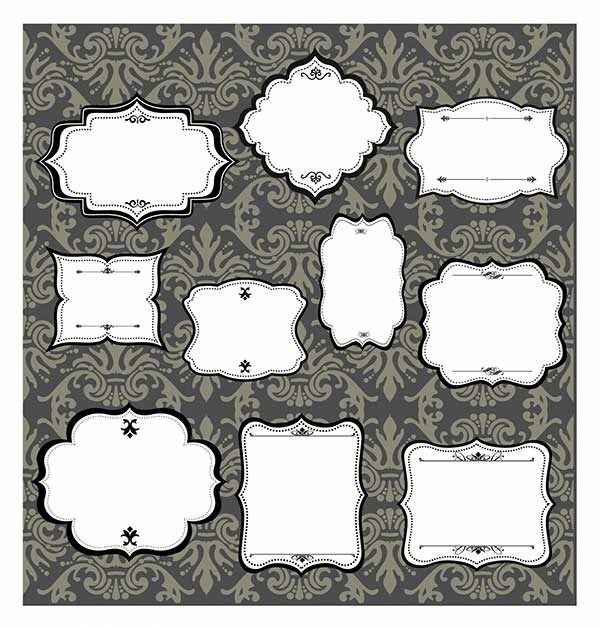 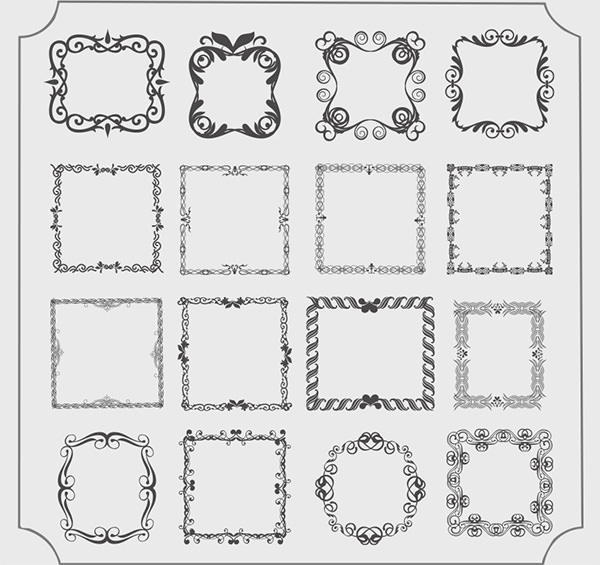 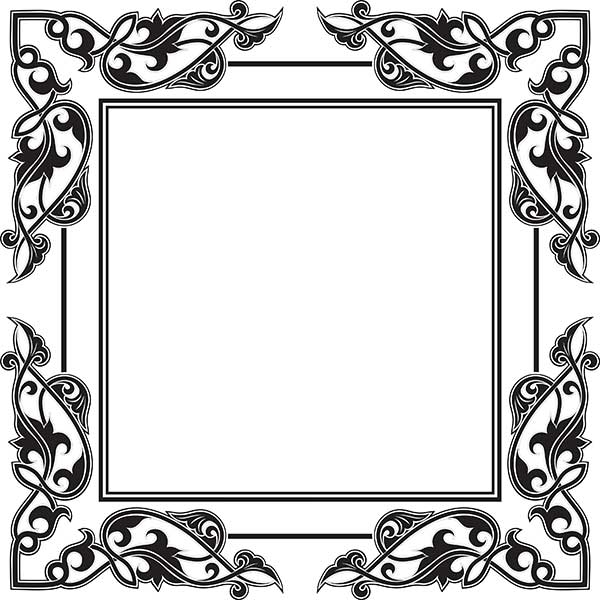 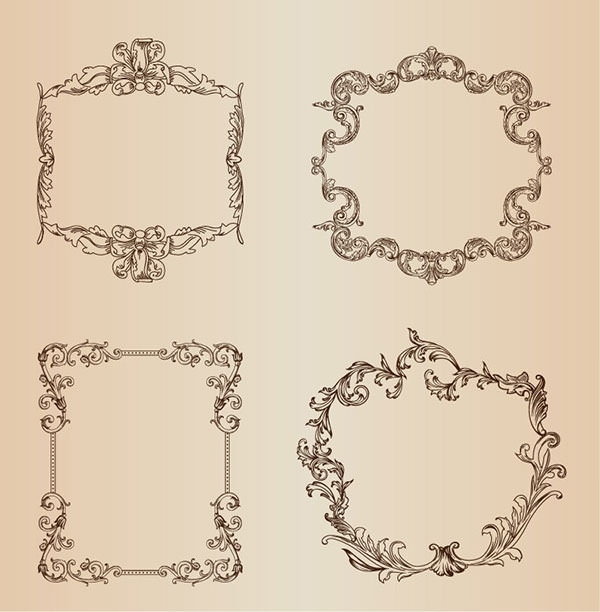 The vector graphics offer you a real treat with classic ornate borders, antique floral borders and the decorative frames. 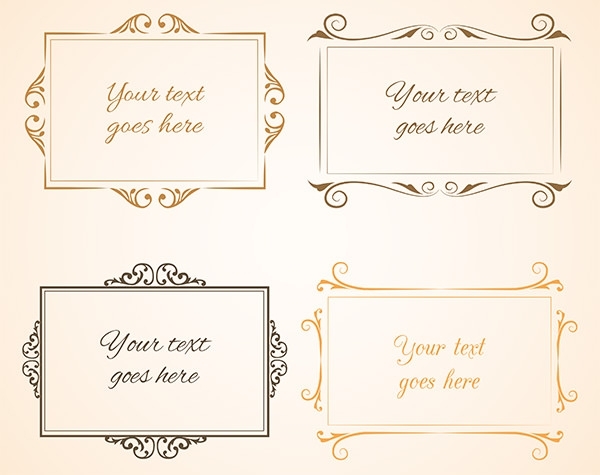 Looking to beautify a wedding invitation, give the site a worn out stylish appeal and add ornaments in the logos with Vintage vector frames designs. 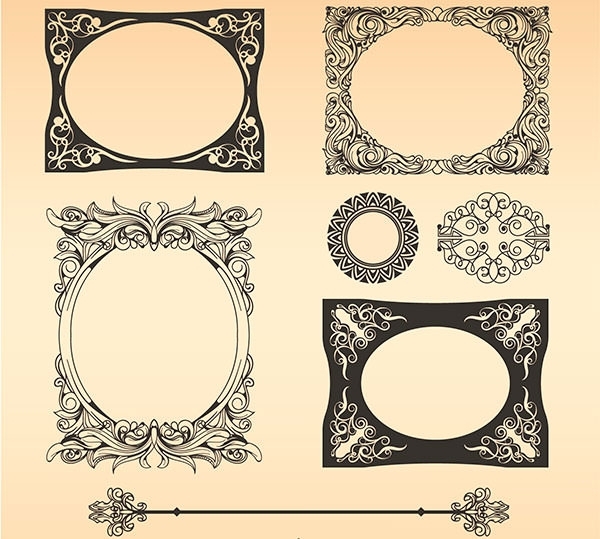 Now use the vector graphics to quickly and smoothly decorate wallpapers, greeting cards and many other backgrounds. 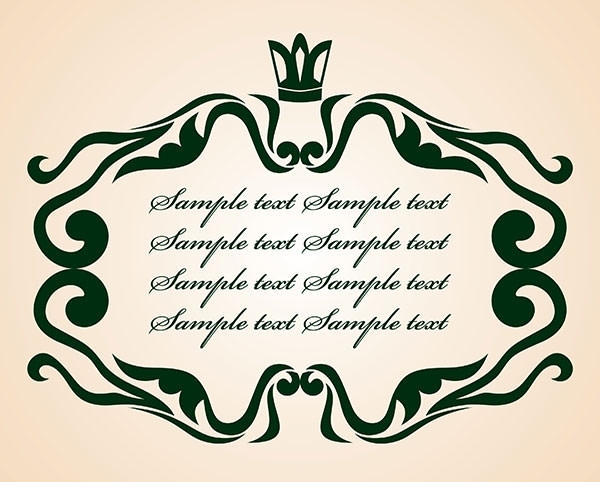 With the spring coming up, you will definitely require some new vector leaves and vector swirls. 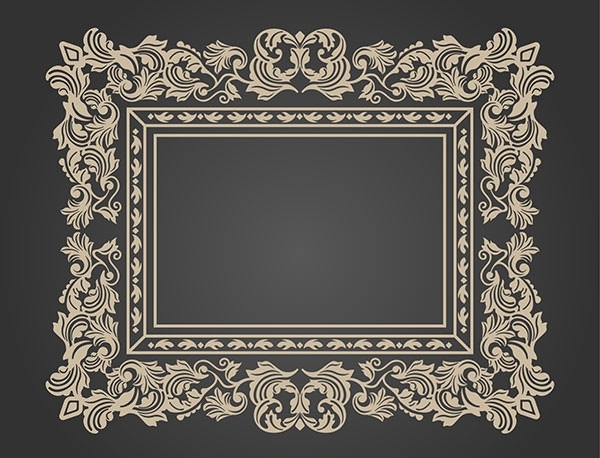 Not only do they render an exquisite touch to your design, frame design elements can be easily modified in terms of colour and various other attributes. 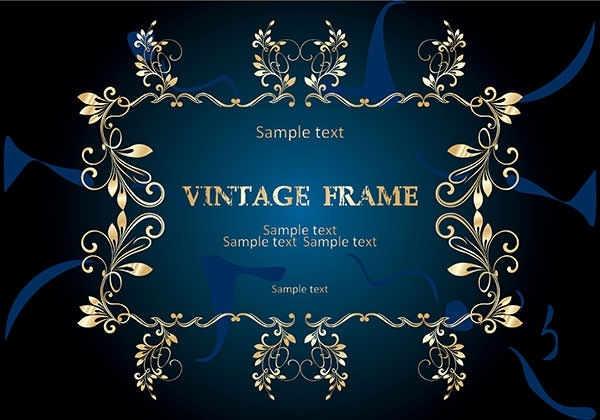 Vintage vector frames designs come with Customizable/editable PSD vector layers and are available for download for free in lot of formats like EPS, SPG and others which can be easily modified through Adobe Illustrator, Inkscape or other software packages. 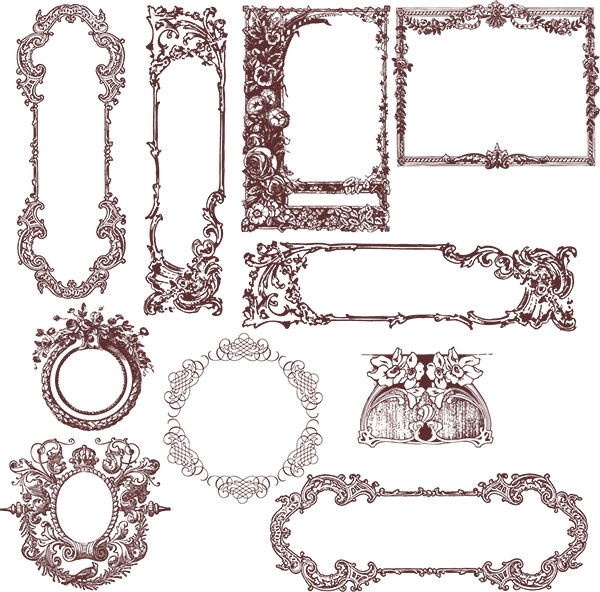 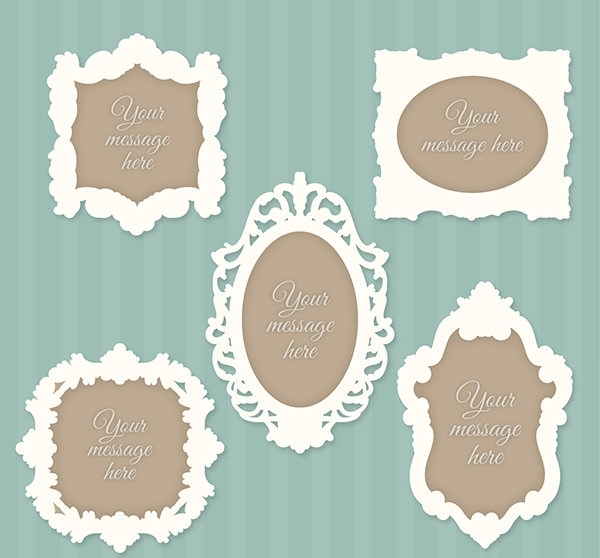 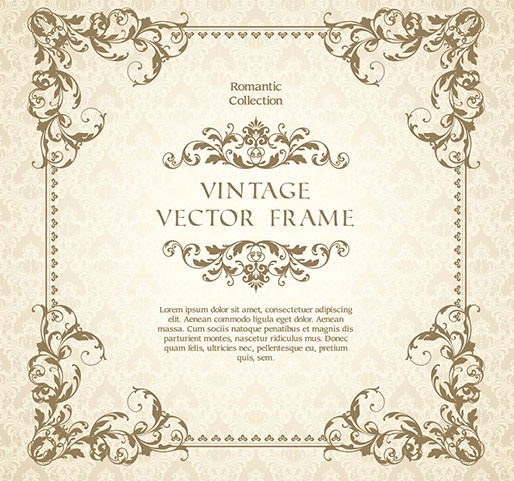 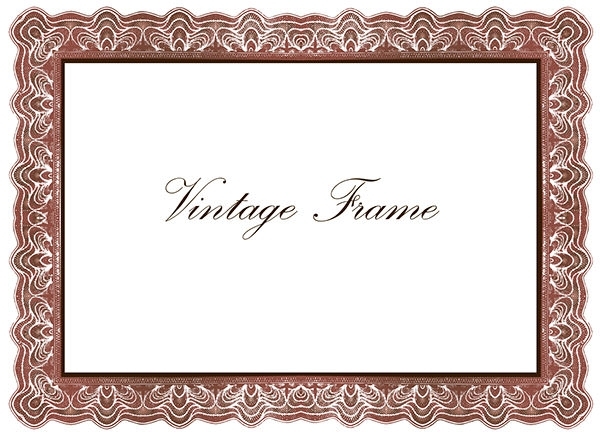 With Free Vintage vector frames designs, you can give your project an elegant feel. 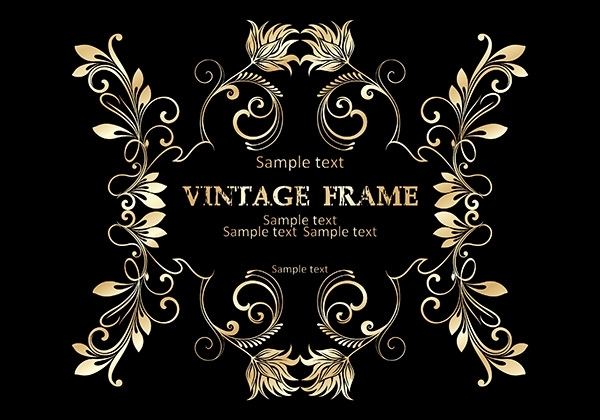 Many vintage vector frames come up with swirls, foliage and floral to give your project an intricate design. 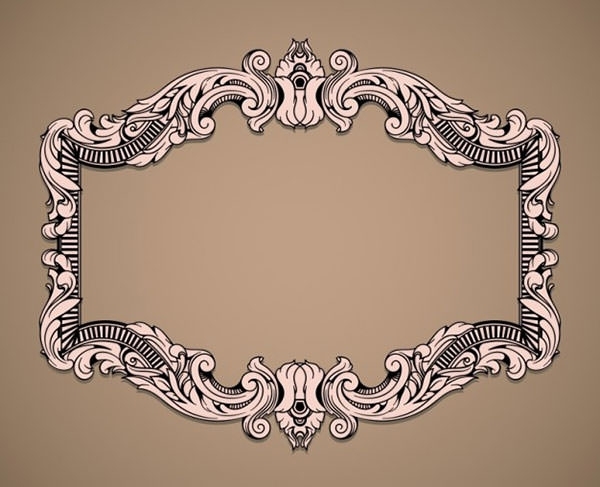 Many of these best vector frames are available in copper and black toned gradient give a grandiose feel to the design. 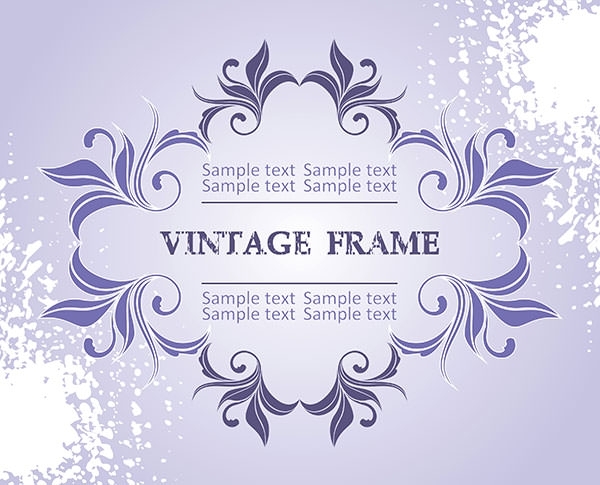 So get started and have your vector frames PSD files free download in various formats and add a floral blossoming elegance to your work.